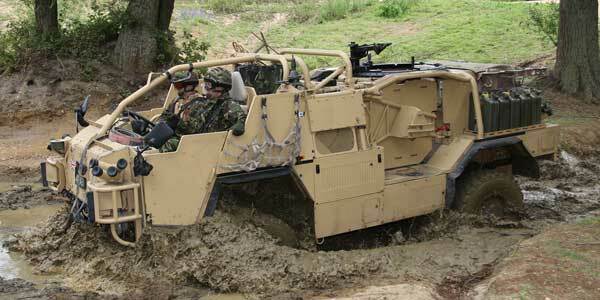 Our off road course is suitable for business and military training purposes and is regularly used for both. The rates are £35 per vehicle per day and we have an on-site conference room suitable for class work, available from £35+ VAT. Refreshments and light lunches can be arranged. The army has recently used the site for pre-Afghanistan training and Land Rover Experience are currently instructing Environment Agency staff on site. The on-site classroom in use for off road training for professionals. Off road course in use for military training.